Actress Jodi Sta. Maria once again proved that she could balance time for work and studies as she made it to the Dean's List of Southville International School and Colleges. Jodi is studying Psychology with 3.67 grade, making it shortlisted on the Dean's List. 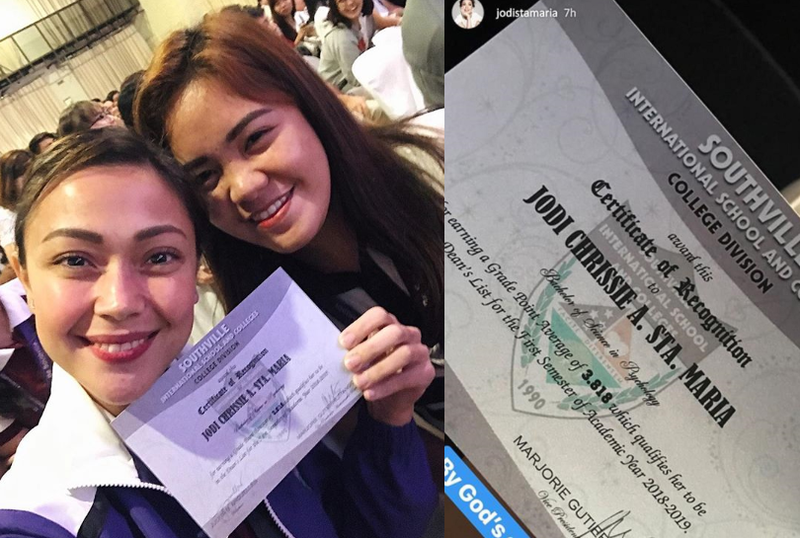 "Blessing come in many forms and today, I got mine in the form of a recognition certificate for being part of the dean's List in school. I'm first to admit that it's been a roller coaster ride juggling my career and school. I'm taping for my upcoming show; there has been a lot of late nights and weekends spent with books. "But you know what, it's possible! I'm proud of myself for pulling through and I hope this inspires you to just keep going and never stop learning! It's never easy but that makes the journey of learning more beautiful and interesting."